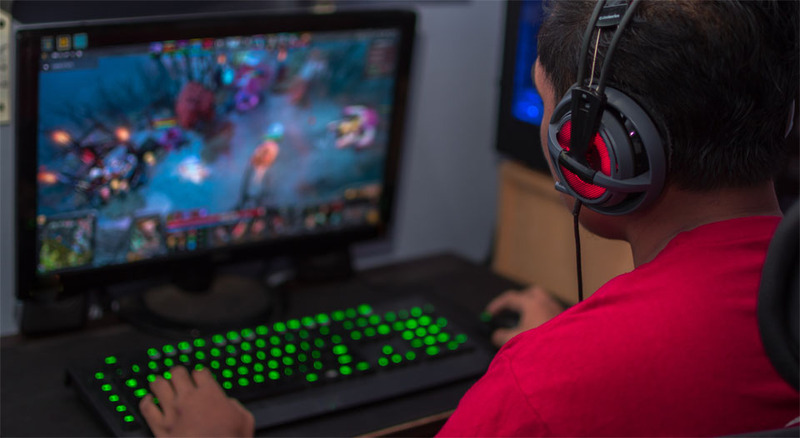 When it comes to gaming, Windows 10 is undoubtedly one of the most popular operating systems. Compared to those for Macs, games designed for Windows 10 computers do not require much graphics processing power. The game selection available also seems infinite. However, as perfect as Windows 10 computers appear, the OS in view has its faults. It is notorious for occasional crashes and errors, such as the error DirectX F0000FFE. What does the error DirectX F0000FFE mean? What should you do when you see this error? How should you fix it? In this guide, we’ll try to answer all your questions. What Does Error DirectX F0000FFE Mean? Error DirectX F0000FFE appears on freshly updated Windows 10 computers that are used to play on gaming websites like Big Fish. As the name of the error suggests, it’s an issue that is associated with DirectX, a tool widely used for game programming. Solution #1: Update Your Graphics Drivers. A graphics driver is a piece of software that allows an operating system, app, or program to access computer graphics hardware. If it is not updated, then it is likely that your computer will deliver poor performance, particularly when playing games. In the search field, input Device Manager. The Device Manager window should now open. Scroll down and expand the Sound, video, and game controllers section. Right-click on your graphics card. Once Device Manager finds that a newer version of your driver is available, it will download and install it right away. If the first two methods sound overwhelming to you, then you can consider using a third-party driver updater. It’s a safer and quicker way to install driver updates. Once you have a driver updater in mind, install it and let it do the job of searching for a driver that is compatible with your operating system and hardware. In the search field, input Device Manager and hit Enter. Locate the folder where the manually downloaded driver update is saved. Click on the folder and hit OK. Tick the option next to Include Subfolders. This way, the wizard can find the correct files that are required to update the driver. Follow the on-screen prompts to complete the installation of the new driver. Solution #2: Install an Earlier DirectX Version. If you are still having DirectX F0000FFE errors after updating your graphics driver, try installing a previous DirectX version. Some apps and games require an older version of DirectX for them to run properly. Hence, installing a previous version of it might resolve the error. All you need to do is to download an earlier version of DirectX and restart your computer. After that, check if the problem persists. Solution #3: Clear System Space. Errors may be triggered by malicious files that disguise as junk files. That is why you should make it a habit to clear your system space by getting rid of unnecessary stuff. You can manually delete the files you don’t need. However, this process can be very time-consuming. Your best option is probably to use a trustworthy PC cleaning tool, run a quick scan to identify system junk, and get rid of it as needed. Solution #4: Use DirectX Diagnostic Tool. In the search field, input run. In the Run Dialog Box, input dxdiag and click OK. In most cases, you should see four tabs: System, Sound, Display, and But sometimes, there could be more, depending on your system. Navigate to each tab and find the best troubleshooting option that suits your case. We hope that one of the solutions above has helped you fix your problems with the DirectX F0000FFE error. But if you are still having problems, do not think twice about bringing your computer to a professional. Have them check your computer and ask for suggestions on how you can fix it. Do you know other ways to fix the DirectX F0000FFE error? Let us know below!